This morning we are all at the campus where there is a youth conference beginning! 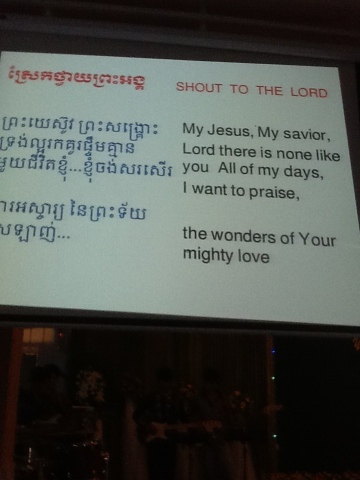 There are all the older kids from all the Asia's Hope homes as well as outside youth hearing the name of God proclaimed right now. There are tales of local pastors here bringing lost youth in from the community. 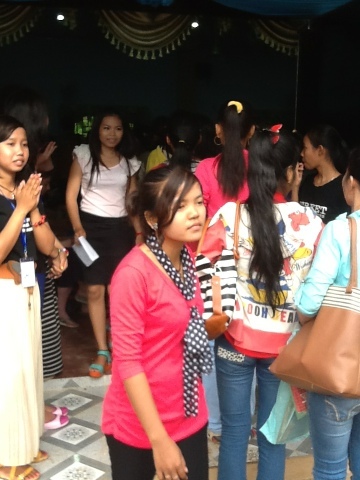 They all get Asia's Hope T-shirts and lunch and to hear the Word of The Lord for 3 days!! One of our homes here on campus just did praise dance, it was amazing! One of our jobs today is to entertain the younger children while the youth attend the conference. I am sitting among the children and they are precious indeed. 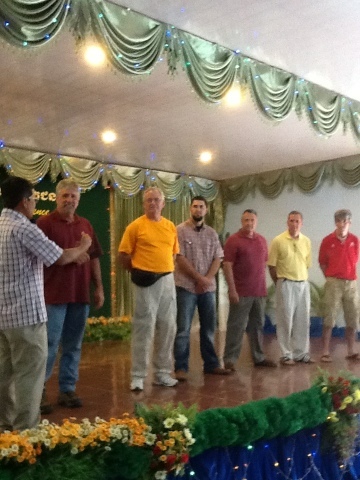 men that will speak at the conference, pastors, business men, teaches - all men that love The Lord and love the children! Music - the universal language. 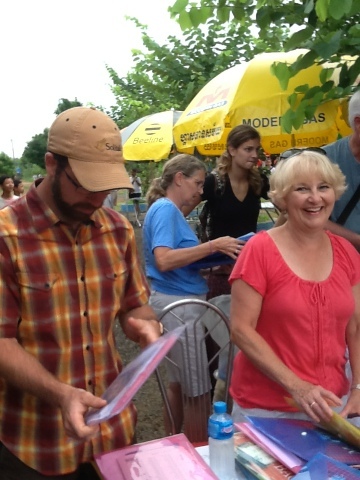 Our team handing out the packets !